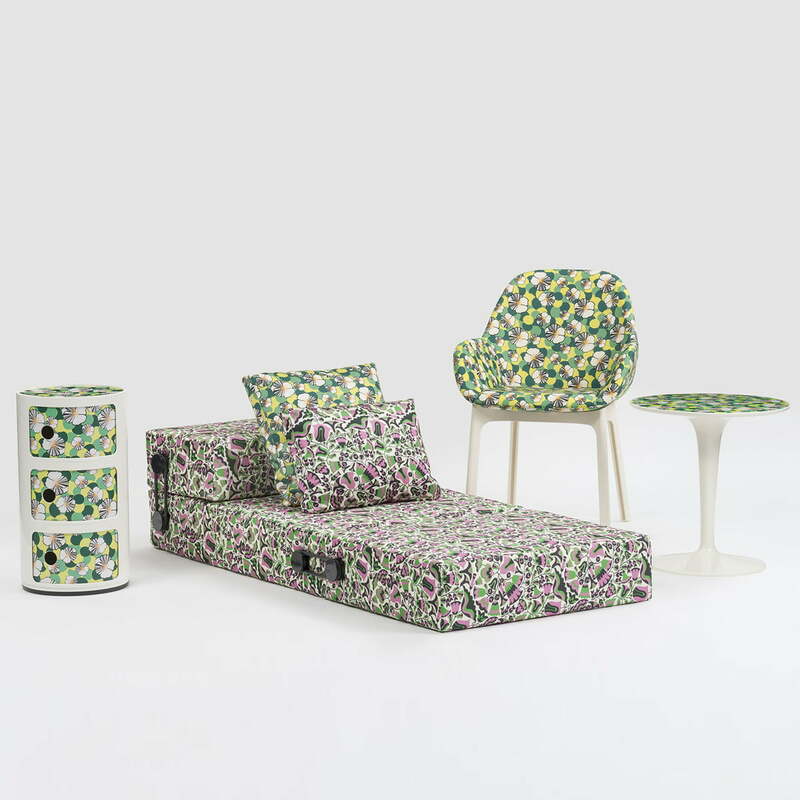 The La Double J collection by Kartell comprises of classics from the Italian company that have been re-interpreted by the Milanese brand Double J. Edgy, colourful and rich in contrast, the patterns were created in 2015 by the company’s founder J.J. Martin whose brand specialises in flamboyant retro designs. The cooperation of the two companies results in striking furniture designs that draw everyone's attention and provide an unconventional highlight to every interior. 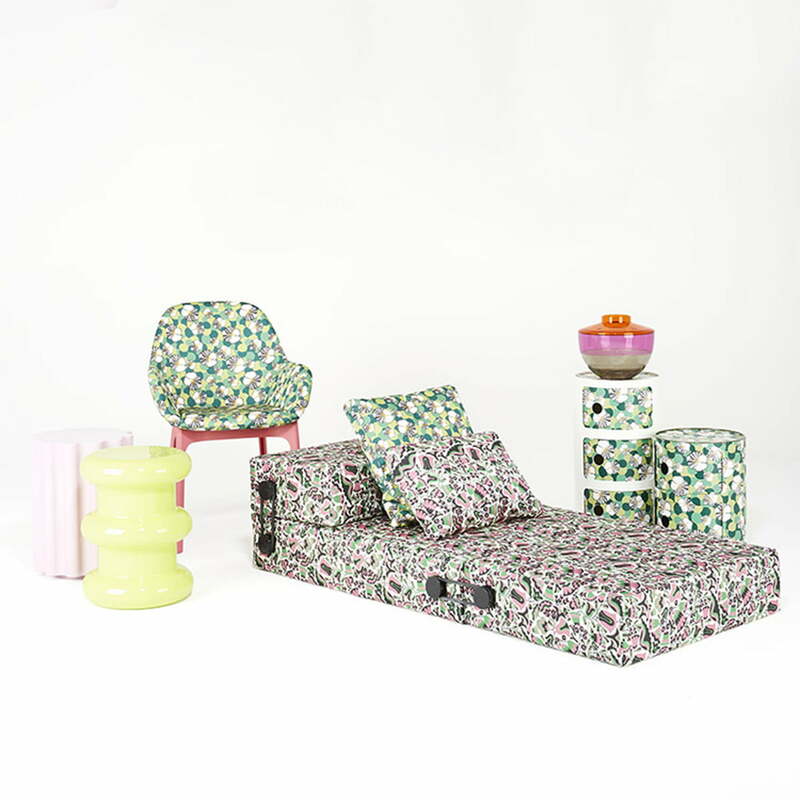 The Clap chair by Kartell gets a makeover. What remains of the original is the shape and texture of the chair. Created by the Spanish designer Patricia Urquiola, the Clap chair is characterised by soft shapes that can be harmoniously introduced into any environment. 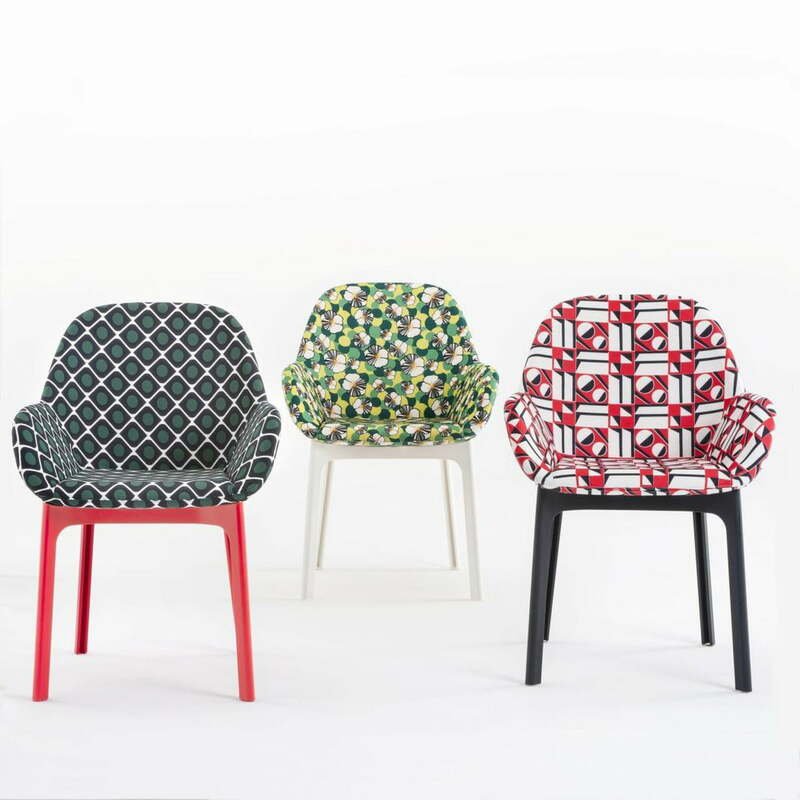 As a specialist in plastic furniture, Kartell manufactures the four-legged Clap chair with a seat made of dyed-through thermoplastic technopolymer and polyurethane upholstery. The high backrest and two armrests provide comfort, making it the ideal chair for the desk or dining table. 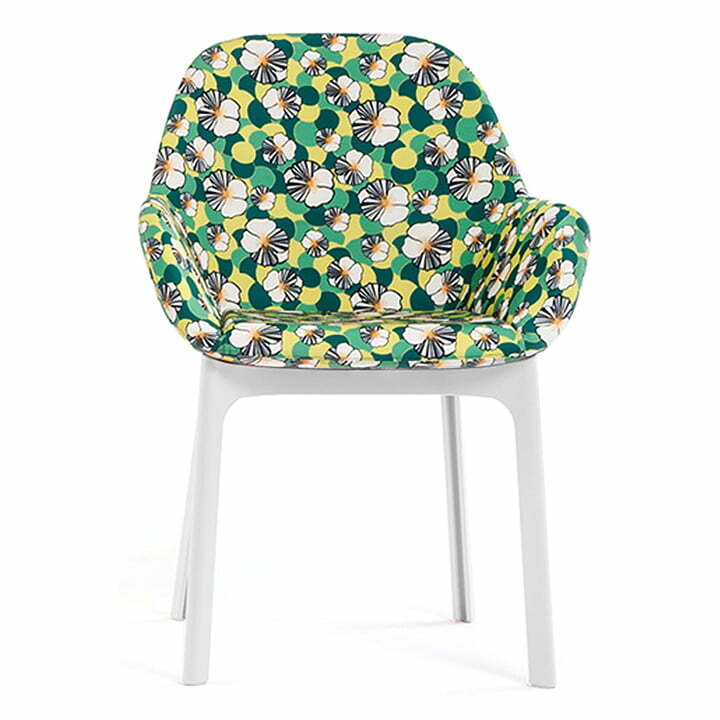 The Double J edition of the Clap chair is available in various colours and patterns, which can all be combined wonderfully with one another and provide a highlight in both private and public interiors. Created by the Spanish designer Patricia Urquiola, the Clap chair is characterised by soft shapes that can be harmoniously introduced into any environment. Group product image of the Clap Chair (La Double J) by Kartell. The high backrest and two armrests provide comfort, making it the ideal chair for the desk or dining table.